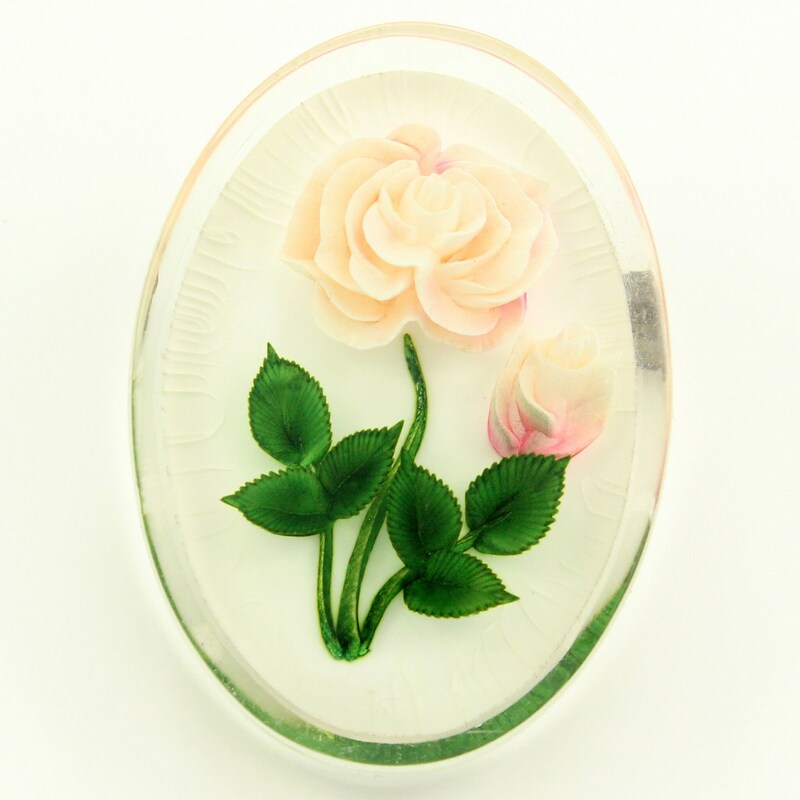 Vintage Reverse Carved Lucite Pink Rose Brooch. 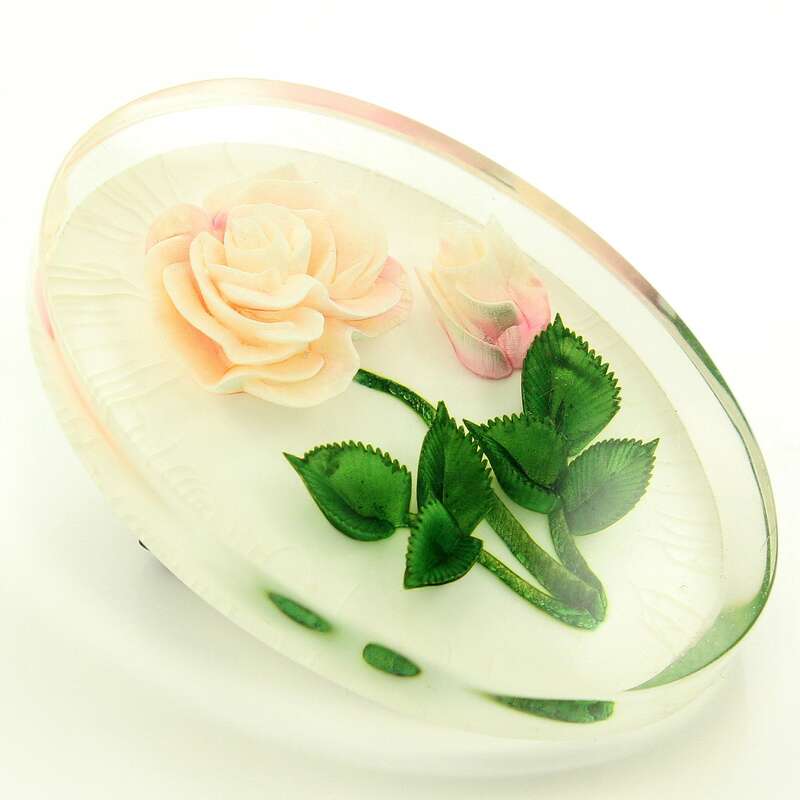 Made circa 1940, this oval brooch is made of clear lucite into which a rose in full bloom and a rose bud have been carved from the back. They were then painted in pale blush pink with deep green leaves. And the flower is backed with white plastic. 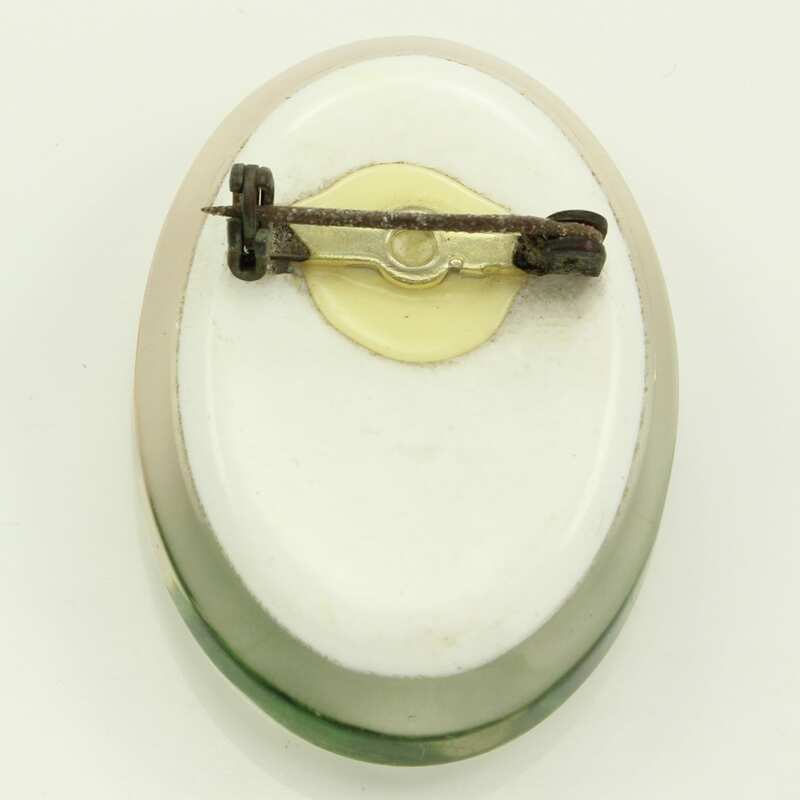 CONDITION: In good vintage condition, with some crazing between the clear and white layers of plastic and discoloration to the metal pin stem and rollover safety clasp. Arrives in a gift box!